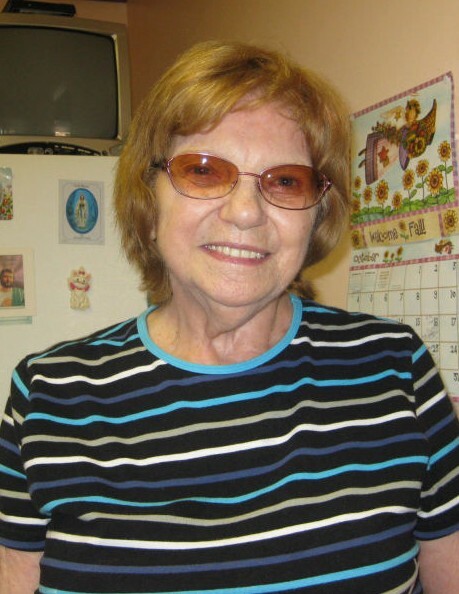 Procopio-Ruggiero Helen C. (Hlabanis) of Winthrop, formerly of East Boston, passed away peacefully on Saturday, March 31, 2018. Beloved wife of the late John Procopio and the late James N. Ruggiero. Devoted mother of James N. Ruggiero and wife, Marilyn, of Boxford, and George Ruggiero and wife, Lona, of Tewksbury. Dear sister of Mary Chiulli of Winthrop and the late Anna Phillips, Rita Palladino, Thomas, Walter, and Albert Lopez. Cherished grandmother of James, Rene, and Rena. Also survived by her many loving nieces and nephews. Family and friends will honor Helen's life by gathering in the Ruggiero Family Memorial Home, 971 Saratoga Street, (Orient Heights) East Boston on Wednesday, April 4 from 4:00 P.M. to 8:00 P.M. and again on Thursday morning at 8:30 A.M. before leaving in procession to Saint John the Evangelist Church, Winthrop Street, Winthrop, MA 02152 for a funeral mass celebrating Helen's life at 10:00 A.M. Services will conclude with Helen being laid to rest in Holy Cross Cemetery, Malden. In honoring Helen, in lieu of flowers, memorial donations may be made to Winthrop Place, 26 Sturgis Street, Winthrop MA,02152.